If your barrel is a little worn and you need a temporary remedy to improve shot performance, then a compression collar offers a quick and easy solution. Each Compression Collar includes an Expandable Compression Seal and a Check Ring. Together they work to improve shot performance and increase cushion stability. 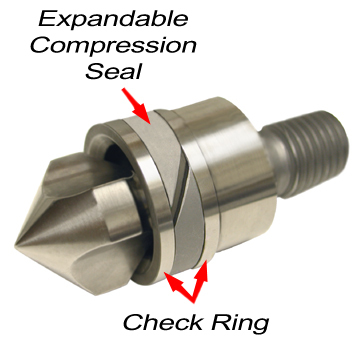 We will install a Compression Collar on your existing screw tip or you can easily install one yourself.